To ask Laura Kamoie questions, please sign up. Tricia Keep up the great work! I loved "America's First Daughter"! Bravo! Laura Kamoie The idea for AMERICA'S FIRST DAUGHTER started one night when my friend Stephanie Dray and I were having dinner together and discovered a mutual…moreThe idea for AMERICA'S FIRST DAUGHTER started one night when my friend Stephanie Dray and I were having dinner together and discovered a mutual interest in American history. At the time, I was still working as an Associate Professor of History at the U.S. Naval Academy and I was teaching two senior seminars on Thomas Jefferson. Steph and I talked about how many books there were about him and how difficult it was to find a unique perspective on him. And then we thought about his daughters--and neither of us could think of anything much written about them. And that got us thinking, over burgers at that writing conference, about what Jefferson was like as a father, not just a founding father. After dinner, we raced back to our hotel and started researching that night. We couldn't find hardly anything--fiction or non-fiction--that had been done on Martha Jefferson Randolph, Thomas's eldest daughter. That night, we committed to the crazy brainchild of combining our experiences in co-authoring a book about her. Frankly, we had no idea the journey we were about to embark upon. We didn’t know that it would take five years, three agents, eighteen thousand letters, and a road trip to get this book out. 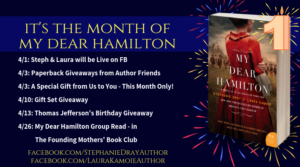 Month of My Dear Hamilton! Laura Kamoie voted for Kingdom of Ash (Throne of Glass, #7) as Best Young Adult Fantasy & Science Fiction in the Final Round of the 2018 Goodreads Choice Awards. We’d love your help. 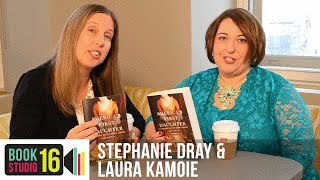 Let us know what’s wrong with this preview of My Dear Hamilton by Stephanie Dray. 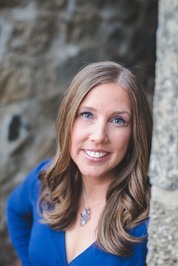 Laura Kamoie made a comment on Pre-Order Ride Hard, Get a Bonus Story from Hearts in Darkness!
" Laurie wrote: "I ordered it. Sounds so good."